Elizabeth Hertel is a senior policy analyst in the Michigan House Republican Policy Office working on health and human services policy and appropriations issues. Hertel was previously a senior health consultant for Public Sector Consultants, Inc. and policy analyst with Blue Cross Blue Shield. From 2005 to 2009, she worked with Representative Bruce Caswell, chair of the Department of Community Health Appropriations subcommittee, where she focused on health and human services issues. She has also worked for the Alzheimer’s Association in public policy and advocacy, focusing mostly on issues of long-term care. 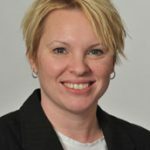 Hertel graduated from Grand Valley State University in 2000 with a bachelor’s degree in Public Administration; she is currently working toward a Master of Public Health at Michigan State University.